* Biosimilars – discussing their impact on treating chronic diseases – with views from the HSE, Clinician & Industry! You may have noticed our illustrator hard at work at the Business Day. You can view his illustrations of each talk here. 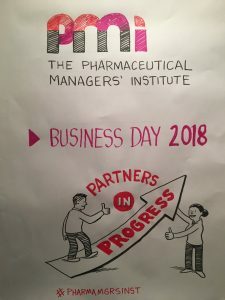 Building professional connections and networking is at the heart of what we offer at the PMI. There will be a Networking BBQ directly after the Business Day, the cost of which is included in the rate. Roisin is the Chief Pharmacist with the HSE. In early 2017, she was seconded as Chief Pharmacist to the National Drugs Management Programme (Acutes) to manage high cost Drugs in the acute division. Prior to this, Roisin was the Deputy Head of the NCPE. Roisin holds a Doctor of Philosophy (Phd), Pharmacoeconomics/Pharmaceutical economics and MSc (Pharmacy). Virginia (Ginny) has worked in industry and academia throughout her career, combining interests in science policy research and innovation performance within and across organizations. She recently joined MSD to lead regulatory policy efforts for innovation that will lead to better treatment for patients in Europe, the Middle East, Africa and Asia. 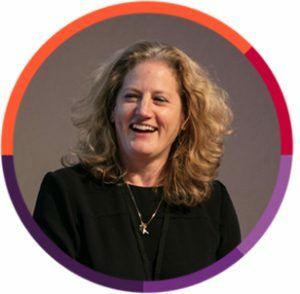 Before joining MSD, Ginny was the senior spokesman for the industry in the UK for research, medical and innovation policy. She was responsible for ABPI’s work on BREXIT for the life sciences sector. Previously, Ginny worked for Amgen in global regulatory policy and for Pfizer working on policy development in science and innovation in healthcare. Dr. Paul Cornes is an Oncologist based in Bristol, UK. 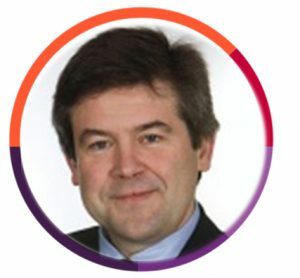 Paul was part of the team that developed and presented evidence for the first successful US biosimilar to the Oncology Advisory drugs Committee of the FDA. He is part of the steering group for the European School of Oncology Working Party on the Access to Innovation in Cancer Treatment. 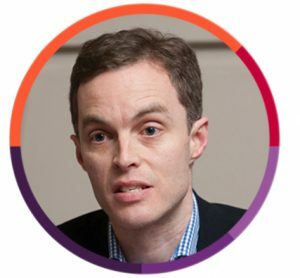 Trevor is a Consultant Rheumatologist at both the Connolly Hospital, Blanchardstown, Dublin and the Hermitage Medical Clinic. He is also an Honorary Clinical Associate Professor at the RCSI. Trevor was a past President of the IMO, and a Fellow at the Hospital Universitaire Cantonal de Geneve where he subsequently became Chef de Clinique. 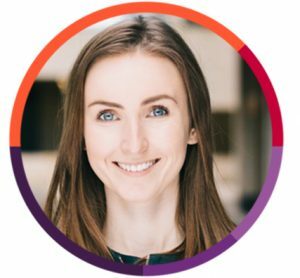 Ciara Clancy BSc, PhD is the founder and CEO of Beats Medical. 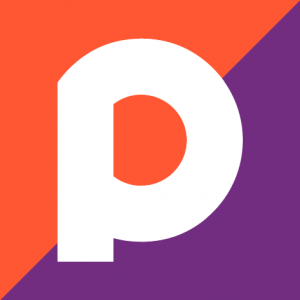 Beats Medical is a digital therapeutics company which provides treatments for the speech, mobility and fine hand movement symptoms of neurological conditions including Parkinson’s, Dyspraxia, Stroke, MS and Cerebral Palsy. 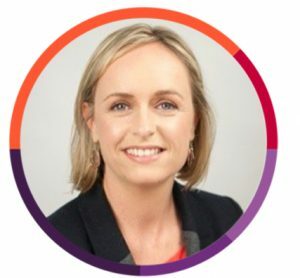 Ciara is Vice Chair of the Industry Advisory Board for Insight Centre for Data Analytics one of Europes Largest Data Analytics Research Centres. In 2015, Ciara was named European Laureate Winner in the International Cartier Awards, and thereafter became the Winner of International Google Adopt Program. Ciara was a finalist in the EY Entrepreneur of the Year awards and in 2017 was named Ireland’s Best Young Entrepreneur by Enterprise Ireland and the Department of Business, Enterprise and Innovation. Stephen is a lecturer in economics with the IPA. He co-ordinates the Economics programmes and subjects on both the undergraduate and postgraduate programmes at the IPA. Stephen lectures in Microeconomics, Public Sector Economics, Health Economics, Business Economics, Economic Growth and Research Methods. Chief Story-teller Niamh, has been working with children since 2002. She is a qualified Montessori Teacher and has also ran her own business teaching music classes to under 5’s through a Jo Jingles franchise. Encouraging children to use their imagination again is something that Niamh is very passionate about. It is her mission to bring the use of the imagination back and to enable children to play like they used to. 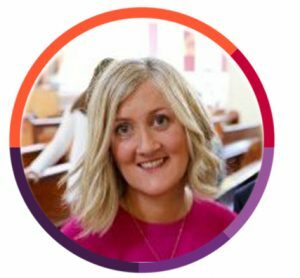 Niamh, along with being one of the co-founders and directors of the company heads up the brand, PR, social media and customer services departments of the business. Since founding the IFDC, Niamh & her co-founder Aoife Lawler, have won a range of awards including being finalists in the 2017 EY Entrepreneur of the Year award, and received the Matheson WMB Female Entrepreneur Award in October 2017. 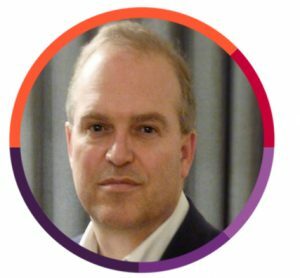 Barry is the Managing Director and Founder of Abbey Medical Management Consulting. As a consultant he provides strategic, financial and commercial management consulting services exclusively to a GP client base. 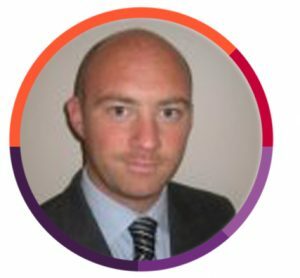 Barry is also lecturer and course tutor for the Irish College of General Practitioners’ “Management in Practice” Diploma and Certificate courses. Marie Murphy is the Co-Founder and Operations Director at Fort Privacy. A Data Protection operations expert with a special interest in “Privacy by Design”, Marie has delivered projects at every stage of the project lifecycle. Marie is an engineer with formal training in business process modelling and data protection law. Her background is in the communications and manufacturing sectors working for international corporations in Europe, Asia and North America. 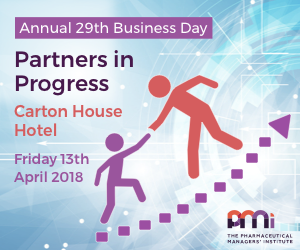 Marie has also been invited to join the ACOI Data Protection Steering committee as a result of developing GDPR assessment methodology for the Banking and Credit Union sectors. Tricia Higgins is the Co-Founder and Legal Director at Fort Privacy. She has over 15 years legal and commercial contracting and data protection experience. 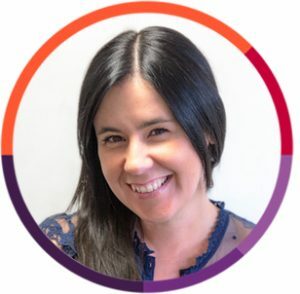 Tricia is a qualified Data Protection Practitioner and as a founder of Fort Privacy she has helped many companies with data protection compliance matters. This includes drafting data protection agreements and policies and providing training. 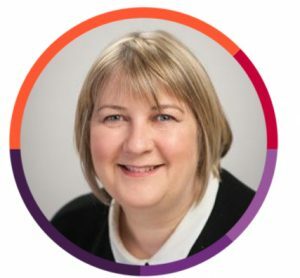 Tricia gained much of her commercial contracting and data protection experience working in-house for IBM in London where she led engagement teams in drafting and negotiating multi-million-pound contracts for the licensing of software and the provision of IT Services. 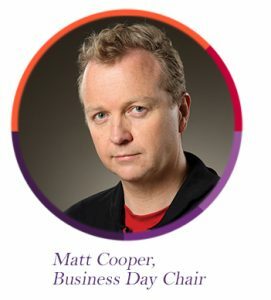 Matt Cooper – Broadcaster, Author and Journalist. Matt returns as our MC for this year’s Annual Business Day. He is a well-known and respected broadcaster, author and journalist. He presents and edits a daily news, current affairs and sports programme “The Last Word” weekdays on Today FM. He is the author of three critically acclaimed and commercially successful books. He has previously anchored both championship GAA games and the Rugby World Cup. He is a former editor of The Sunday Tribune, having been appointed at the age of 30 in 1996 – making him the youngest editor of a national paper in Ireland. He left for a career in radio in 2003 but continues to write a leader page column for two national newspapers. He was twice National Journalist of the Year and twice Business Journalist of the Year.